It unfortunately happens more often than it should. A physician, often in the emergency room, misdiagnoses and/or under treats a patient who has just suffered a stroke or is suffering an on-going stroke at the time. Often times there is a critical time period during which a stroke must be treated. If physicians and ER staff miss that time period, permanent and otherwise avoidable injury may be suffered by the patient. In 2006, a Florida jury awarded a Tampa man over $200 million after his doctors failed to diagnose his stroke in time. This resulted in severe damage to left hemisphere of his brain. Alan Navarro, who was 50 years old at the time of the verdict and a former athlete, is now confined to a wheelchair, living his life severely disabled. Mr. Navarro was admitted to the ER complaining of nausea, dizziness, headache, and double vision. Despite having told the admitting nurse that he had a family history of strokes, the ER physician diagnosed him with sinusitis and sent the gentleman home without any stroke related intervention whatsoever. By the time he returned to the ER the next day, his symptoms had evolved and worsened significantly. He required brain surgery that day and otherwise spent the next three months in a coma. He was left, unfortunately, with a lifetime of severe deficits as a result of the physician’s negligence. Have You or Has Someone You Love been the Victim of Medical Negligence? If so, the Palmer Law Firm, P.A. 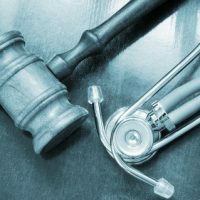 of Tampa Florida understands that you deserve to be compensated for your pain and suffering as well as the loss of work and necessary medical treatment that you will likely need as a result of the malpractice. Please feel free to give us a call at 813-506-5651, and we’ll discuss your case right away.